So you just picked up a Canon C100 Mark II. What a fantastic camera: 12 stops of dynamic range, Dual Pixel CMOS AF, built-in ND filters, 320 to 102,400 ISO range, and much, much more! In order to get the most out of your new purchase, it is important to configure everything correctly. Canon has issued a firmware update for the EOS C300 Mark II and Mark II PL cameras which adds support for EF-S 18-135mm f/3.5-5.6 IS USM lenses (due for release in late March, 2016). The new lenses will not work on previous firmware versions for the EOS C300 Mark II, but they will function properly on Canon’s EOS C500, C300, C100 Mark II, and C100 devices without any update. CFast 2.0 cards cannot be used to perform the update; a SD/SDHC/SDXC memory card with 64MB is required. Please note: Once the firmware update is performed, the menu and custom picture settings will be reset. Menus and custom picture settings can be saved onto a separate SD card prior to performing the update, and then loaded onto the camera after the update has finished. Click here to download the firmware update file onto your computer (PC and Mac OSX versions available). The downloaded folder will contain a PDF file with instructions on how to perform the update. The Atomos Flame Series delivers the world’s most advanced 7” field monitor, delivering the luminance detail of Log with HDR Post Production color accuracy for the first time in a field monitor. The AtomHDR engine not only resolves HDR brightness detail, with 10-bit monitor processing it also resolves 64 times more color information than traditional 8-bit panels. For Rec709 standard dynamic range scenes the 1500nits brightness aids with outdoor shooting as does the upgraded power management system that will keep you shooting longer in the field. Of course you also get the professional 4K/HD ProRes/DNxHR Recording, Playback and Editing that has made Atomos famous. Check out the Canon C300 Mark II Tutorial Series with Jem Schofield below to help you get oriented to your new camera. 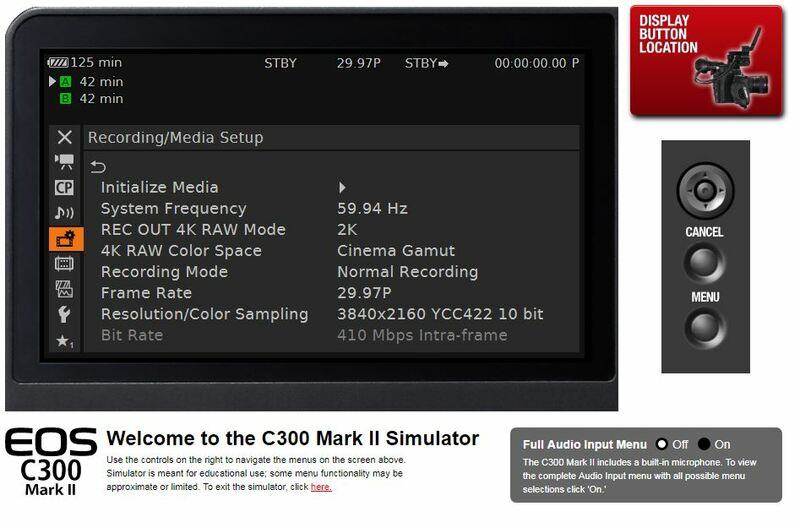 After you watch the videos, head over to the C300 Mark II Menu Simulator to practice setting up your camera. 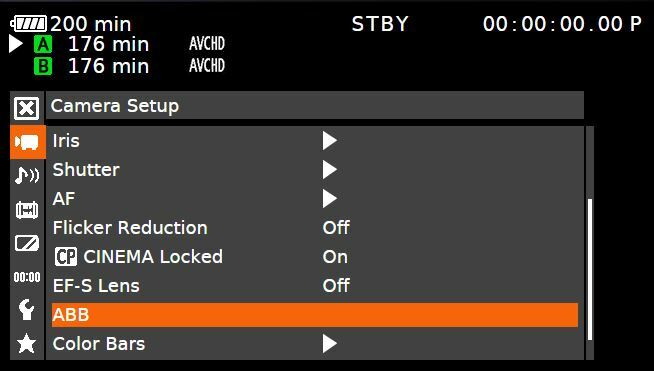 This video in the tutorial series shows how to set the EOS C300 Mark II menu up for external recording. He goes over the menu options found in the Recording/Media Setup, Picture/Terminals Setup menus as well as relevant menus in the Odyssey 7Q+ that he is using. The Canon Cinema EOS C300 Mark II is available in an EF Mount, a PL Mount, and in ENG Package with a Zacuto rig and the Canon Cine-Servo 17-120mm lens.